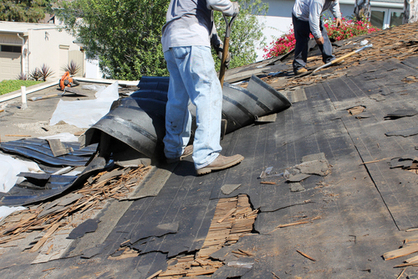 Dealing with insurance claims on a damaged roof can be time consuming and stressful. With Fort Collins Roofing Service, there's no need to fret! Most homeowners are wary about dealing with their insurance companies. With so many rumors and stories circulating about how innocent and helpless homeowners were taken advantage of and left holding the check book at the end of the day it's hard not to see why it would make people nervous. It is in our extensive experience though, that we find the process to be relatively painless in straightforward situations, which makes the process not only easier for the homeowners, but for everyone involved. When it comes time to file a claim with your insurance company, it is imperative to have all the right information before you send it out. A zero in the wrong location can wind up causing all sorts of problems. This is why we offer to have an estimator assist you in the process. By giving you experienced advice during the filing process, you can approach the insurance company well armed with information, and file a claim that is accurate and concise. This will make the process not only easier for you, but for your insurance company as well. 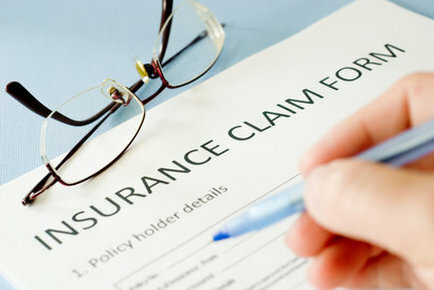 Once your claim has been filed, an Insurance Adjuster will come to your Fort Collins home and proceed to investigate. Generally there is a rule of thumb that most follow in order to have a base estimate at first, in which they will fine tune after they have all the information. Generally a Fort Collins Roofing Service estimate will be roughly the same as your insurance company's estimate as we use nearly identical systems of establishing price. This will reaffirm to you the initial estimate and have you prepared for when the information from your insurance company comes in. Your insurance company will only pay out to have your repairs done by a licensed contractor. This is not only to save them money, as a poorly done job will soon show it's lack of expertise and be damaged again soon after. But also to ensure that you get the best service for your investment. Fort Collins Roofing Service is a licensed contractor with the ability to do your work up to code and to the general specifications of your insurance company. This will make sure your claim is fulfilled, and your insurance company will be doing most of the financial heavy lifting, which is good for you. In the end, you have a professionally completed roofing repair, your wallet doesn't take an enormous hit, and your home is once again readily habitable. In scenarios like this, it's easy to see why filing an insurance claim has an unfair rap in everything. Trust in your insurance, and trust in your local roofing experts. And with the three of us working together, you can once again have a functioning and safe roof over your head, with minimal hassle. Don't let a misrepresentation of your insurance company scare you, because having to sleep in a tent in the backyard is a lot scarier.